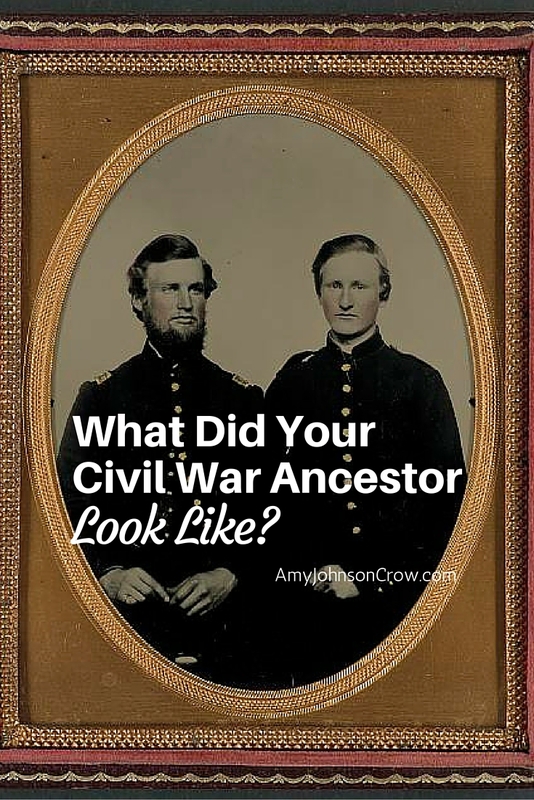 What Did Your Civil War Ancestor Look Like? 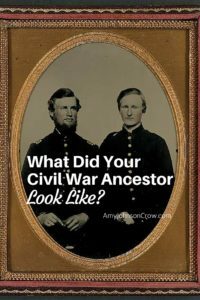 If you weren’t lucky enough to have inherited your Civil War ancestor’s photo, there are still ways to find what he looked like — or at least get a physical description. Here are 4 sources you should look for. The Compiled Military Service Record recaps the person’s time while they were in the service (Union or Confederate). They are usually several pages long, mostly the person’s entries on the company’s bi-monthly muster rolls. There can also be pages that include a physical description, including something called a Descriptive Roll, which is just like it sounds — a roll of the members of the regiment and their physical descriptions. From James V. Malone’s Compiled Military Service Record, we learn that he had gray eyes, sandy hair, a fair complexion and was 5′ 8″ tall. 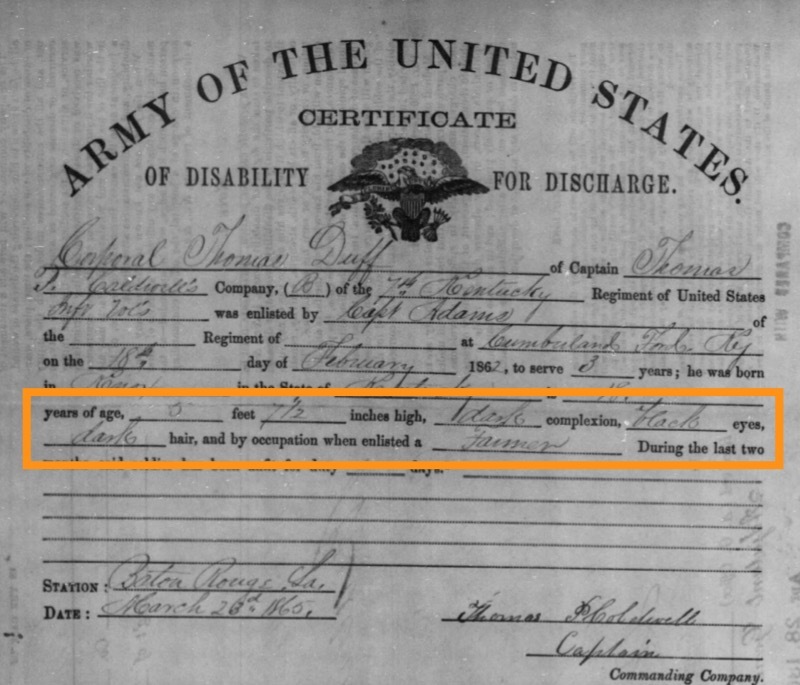 If your ancestor was discharged due to disability (injury or sickness), his CMSR might contain a copy of the Surgeon’s Certificate of Disability for Discharge, which usually contains a physical description. Thomas Duff was discharged from the 7th Kentucky Infantry; he was described as 5′ 7 1/2″ tall, dark complexion, black eyes, and dark hair. Some Compiled Military Service Records are available on Fold3. If the state your ancestor served from has only the index available there (like Ohio or Indiana), you’ll have to contact the National Archives and order a copy from them. Besides some awesome biographical information that they often contain, Civil War pension files often contain a physical description of the veteran. 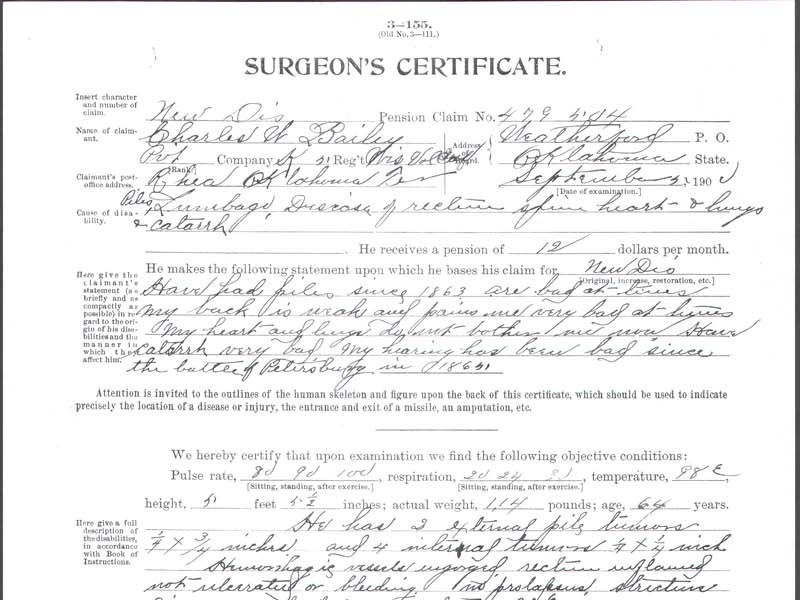 There can be transcripts of the regiment’s descriptive rolls and copies of the surgeon’s certificate of disability. There can also be the records of a physician’s examination. These were done when the veteran needed to prove that his disability was substantial and that it was related to his service. Charles Bailey, 5th Wisconsin Infantry, Surgeon’s Certificate from pension file. Image from The Genealogy Center. Although the Compiled Military Service Record and the pension file might contain an entry from the regiment’s descriptive roll, I would recommend looking for the original. (And if it wasn’t included in the CMSR or the pension file, you should go and find it.) These records are often held at the state archives (either the original or on microfilm). They’re arranged by regiment and company, so you will need to know that information about your ancestor before you use them. 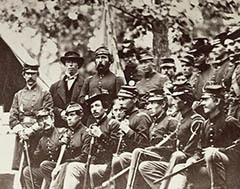 Illinois included information from the descriptive rolls in their online Civil War database. Kansas has digitized theirs and put them online. Just because you don’t have a copy of his photo doesn’t mean one doesn’t exist! Search on Google, the catalogs of historical societies, the Library of Congress, etc. to look for photos of your ancestor. You’ll never know unless you look. 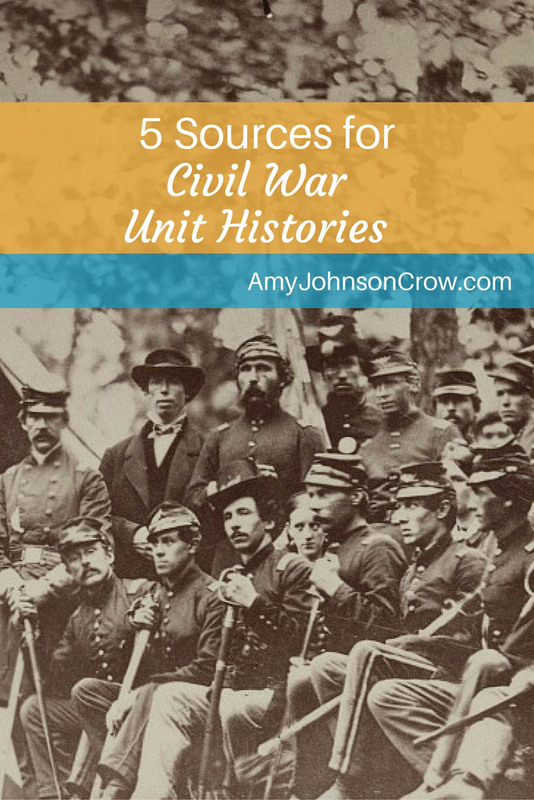 What other sources have you found for a description of your Civil War ancestor? 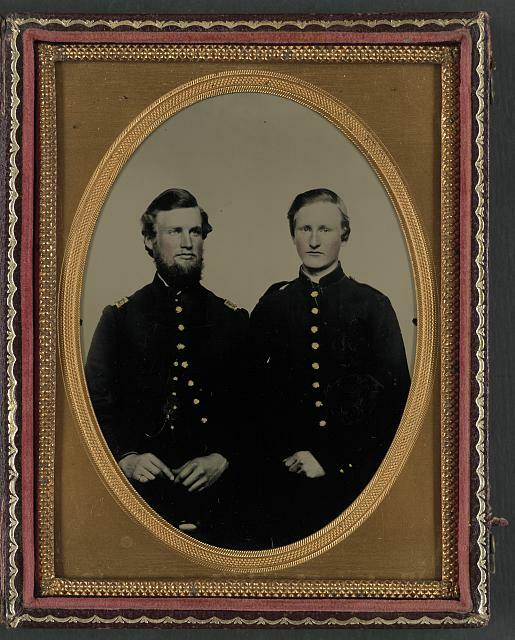 “Brothers Captain John M. Raines of Co. C, 2nd Tennessee Cavalry Regiment, and Private Thomas (“Thadde”) Raines of Co. E, 5th Tennessee Infantry Regiment, in uniform.” Image courtesy of the Library of Congress. Brig. 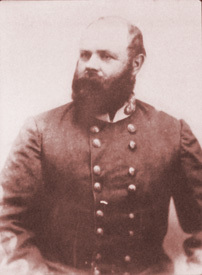 Gen. Roswell Sabin Ripley, CSA. Photo taken from Ohio Historical Society marker, Nov. 2009. When you think of Civil War generals from Ohio, the names Grant, Sherman, and Sheridan often come to mind. Roswell S. Ripley also was a general, yet he is rarely (if ever) mentioned in Ohio classrooms. Why? It’s probably because he was a general in the Confederate Army. Ripley was born in Worthington, just north of Columbus, in 1823. He graduated from the United States Military Academy at West Point in 1843 and served in the Mexican-American War. He resigned his commission in 1853 while stationed in South Carolina. In April 1861, his forces at Fort Moultrie fired artillery onto Fort Sumter, the first volleys of the Civil War. He died 29 March 1887 in New York and is buried in Magnolia Cemetery in Charleston. 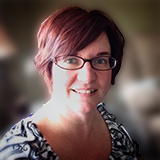 I am thrilled to be the featured speaker at the ACPL Genealogy Center’s Military Symposium this year. With the upcoming sesquicentennial of the Civil War, this year’s symposium will revolve around Civil War topics. I will present one of the lectures on Friday and all four on Saturday. The symposium is sponsored by the Allen County Genealogical Society of Indiana, Inc.
All of the sessions will be in meeting room A-B at the Allen County Public Library, 900 Library Plaza, Fort Wayne, Indiana. For more information, visit the Genealogy Center’s programs page or call (260) 421-1225. I look forward to seeing you there!